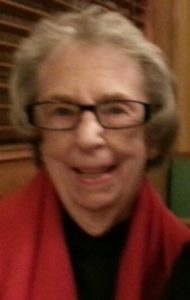 G. Arlene (Goodman) Sload, 88, of Lancaster, passed away on January 20, 2019. She was born in Lancaster, to the late Ruth (Lines) and James H. Goodman. She was preceded in death by her loving husband, Don after 66 years of marriage. Arlene worked for RCA and Longenecker Drugstore as a controller until her retirement. Arlene enjoyed reading, baking and playing bingo. She loved to supervise Don’s gardening and loved animals. Most of all Arlene loved to spend time with her family, especially her children and grandchildren. Friends and family will be received on Wednesday, January 23, 2019 from 4-6PM with a time of sharing at 6PM at Charles F. Snyder Jr. Funeral Home & Crematory, 3110 Lititz Pike, Lititz. Interment will be private at the convenience of the family. In lieu of flowers, please make contributions in Arlene’s memory to Wolf Sanctuary of PA, 465 Speedwell Forge Rd, Lititz, PA 17543.